PARIS -- PSA Group will launch full-electric versions of its Peugeot 208 and upcoming DS 3 Crossback cars in 2019, executives told investors. The Peugeot 2008 will get a battery-powered option in 2020. PSA gave investors details of its future vehicle strategy at a capital markets day on Wednesday. 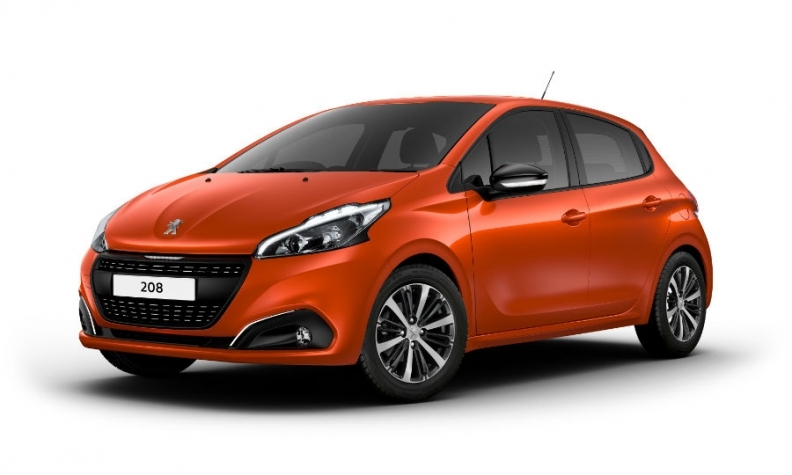 A report prepared by Evercore ISI after the meeting said PSA plans to market the next generation of the Peugeot 208, its best-selling model, as a full-electric vehicle with internal combustion variants when it launches in September 2019. It would have a range of about 300 km (180 miles), similar to the Renault Zoe, Evercore said. PSA will introduce a battery-powered variant of the DS 3 Crossback, the replacement for the DS 3 subcompact, in the first half of 2019, the analysts said. The 208 and DS 3 Crossback EVs will be followed by an electric version of the Peugeot 2008 subcompact SUV in the first half of 2020. PSA’s upcoming plug-in hybrid options will include compact crossovers built on the company’s EMP2 platform, starting with the DS 7 Crossback in 2019 and continuing with the Peugeot 5008 and Citroen C5 Aircross. Two smaller crossovers jointly developed by PSA and General Motors, the Peugeot 3008 and Opel/Vauxhall Grandland X, will also have plug-in hybrid options. A PSA spokesperson would not comment on specific models or launch dates, but said the automaker's third generation of electric vehicles will be launched between 2019 and 2021, with five electric models planned for production. PSA’s existing electric passenger cars are the Citroen C Zero and Peugeot iOn minicars, which are variants of the Mitsubishi iMiEV, and the Citroen e-Mehari. Electric versions of the Peugeot Partner and Citroen Berlingo light-commercial vans are also available. New Berlingo and Partner EVs are set to appear in mid-2018. PSA’s Opel division, which it acquired from General Motors this year, sells the Ampera-e, a version of the Chevrolet Volt. Under CEO Carlos Tavares’ current business plan, called Push to Pass, seven plug-in hybrids and four new battery electric vehicles will be offered by 2021. Tavares has said that 80 percent of PSA models will have an electrified powertrain variant by 2023. Other automakers have set aggressive targets for electrifying their lineup, as emissions regulations tighten and public sentiment turns against diesel engines, which as recently as last year made up about 50 percent of new-car sales in Europe. The British and French governments have announced plans to ban sales of internal combustion engine vehicles by 2040. A number of cities have enacted restrictions on diesel that go beyond European Union regulations. Volvo has said that it will fit every car launched after 2019 with an electric motor. Carlos Ghosn, chairman of the Renault-Nissan-Mitsubishi alliance, said last week that the company would introduce 12 new electric vehicles by 2022.